Prime investment opportunity in Central West End. 6 Bedroom home on HUGE quarter acre lot. Walking distance to shopping, dining, and all that Central West End has to offer. Beautiful 2.5 story brick home directly on Delmar Blvd. 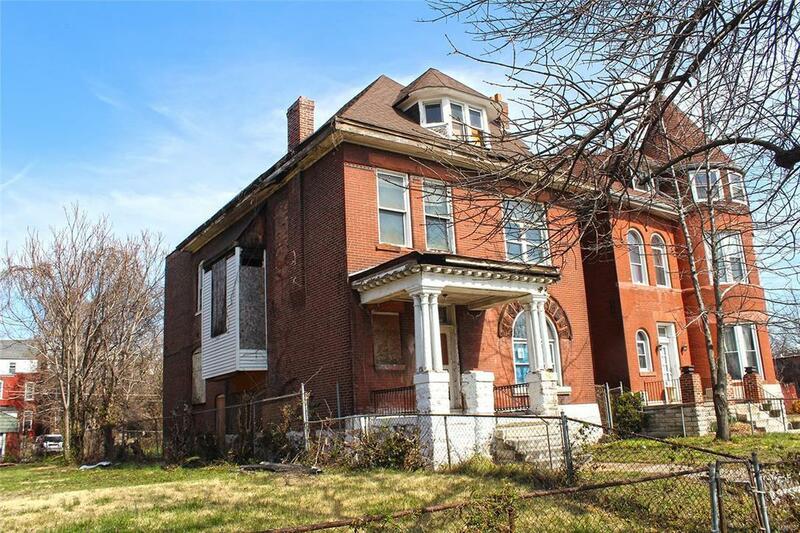 Needs full rehab to be restored to its original glory.Once renovated this will make a wonderful home! Pocket doors, huge open grand staircase as well as butler staircase, 10 Ft ceilings. This listing also includes the additional lot that could be developed, sold, or could stay with the home to make for a HUGE yard. Numerous development and new construction projects in the area. Email agent for more information. Listing provided courtesy of New Monarch Realty Llc. Listing information © 2019 Mid America Regional Information Systems, Inc.